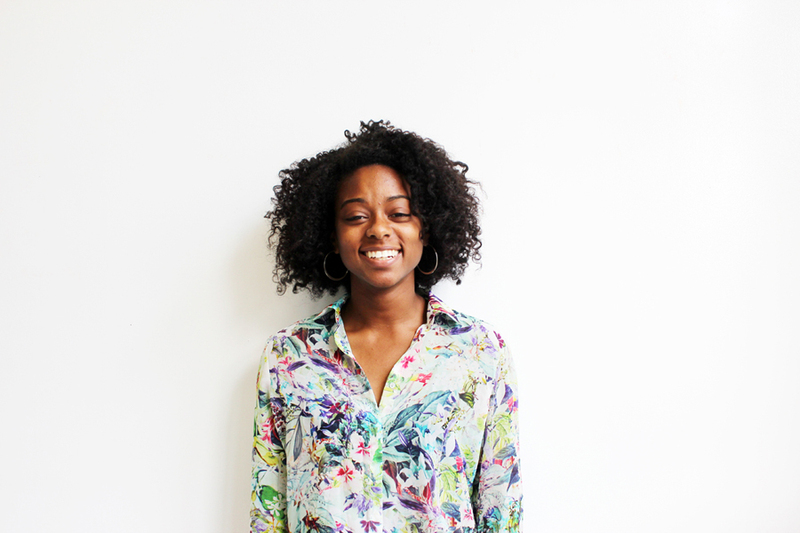 Karla Mickens Cole, Product Designer - POCIT. Telling the stories and thoughts of people of color in tech. 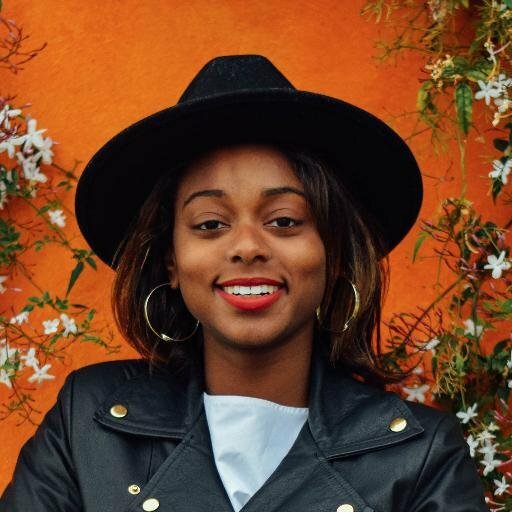 My name is Karla Mickens, and I’m a product designer at Facebook. Originally born and raised in North Carolina, and went to college at Virginia Commonwealth University. After that, I moved to New York where I pretty much started my career in design. I gradually got into more of the tech side of it, and haven’t a looked back since, now for six-seven years I think, maybe more. How would you describe your job to someone who doesn’t know what a product designer is? The title ‘Product designer’ is still very new. The way I usually explain is that not only do I have a part in designing the visual side of Facebook but I’m also thinking about the user experience and journey. How it is for when someone is signing on to Facebook? Or when they are trying to post something? It’s not just about the visual and the layout, but thoughtful design. Sometimes it’s not the flashiest design, but it is something that’s not going to get in the way of somebody using the product [if you do it right]. What was your perception of tech before you started working in the industry, and how has that changed? I never really thought about it. Working at design studios was the thing that I mainly focused on. I was at Big Spaceship which is a digital design agency, and we were building fun, interactive websites, but sometimes it can just be for marketing reasons. At one point they split the agency into doing more product work and other sites into a more marketing stuff, and then that’s when I went to the product side, not knowing absolutely anything about product. I was just working on a project that happened to fall into that bucket. A good friend who was doing contract work there told me what it was like staying on the product side. He said you’d never go wrong with designing for people. I kept that in mind, but I never made the connections between the product and tech. For instance, I didn’t know Facebook was considered a product, Twitter is regarded as a product in tech; I didn’t know those things. I think it’s mainly because that wasn’t my environment. What’s it like making changes to a product that billions of people use? Is there a particular process you guys go through when making a change? I can compare it to New York Times when any time we were making any change we had to jump through a lot of hoops, but that’s just because how that was set up. Whereas at Facebook it is easier, especially if you’re a smaller team. We run experiments. Which I think it’s similar to what a lot of tech companies are probably doing. At Facebook, it’s easy to have a very good idea and try it. Of course, we can’t just do anything that will mess with our user base. Sometimes there are changes that people don’t like and it’s good to get that feedback. It’s easier at Facebook to do something like that, those types of ideas usually come from Facebook employees, it’s not something that is mandated from the top. Everyone at the company is thinking what can I do in my area of work whether I work on the news feed or profile, which can make this experience better. You guys test ideas on small sample sets or different countries for example, so how do you determine whether something is successful or not? If it’s a company secret, don’t worry you don’t have to say [laughs]. It’s a company secret. I think with any project you just have to measure what success looks like for you, and it just varies for each project and each experiment. For some it maybe we just need to see that people are interacting and using it. The thing that we usually try to do is that when we measure success, we want to have a plan for a win, and also a plan for failure. When I first started working there, I almost felt like it was a college campus. Just because of all the things, the food, the environment, the people just walking around outside, just chilling in all of the different lounge areas, people running around, working out. I think it’s just made up of people from a lot of different spectrums. Of course, this is the tech scene, which we all know is predominantly white male, but I do believe that Facebook is actively working against that fabric that has been laid out, that has been a tech issue for so long. So I’m always happy when we are on top of certain issues. When I was at the Times there were times I was like, “Why did we write that article?” So, there’s always going to be things that you’re going to disagree with at any company but when I think about the tech scene as a whole, and I think about Facebook and what it’s doing. I do believe we are doing a better job especially in hiring more people of color, more people from different backgrounds. But people wise, everybody is open, I can’t speak for everybody at Facebook, but the culture is that we want to be an open company. And so we try to act accordingly. I think it’s amazing and the best place I’ve ever worked at. It’s just filled with really incredibly intelligent people; it is almost scary sometimes how intelligent everyone is. I’m always challenged to continue to get better. Would you say being a person of color has impacted your career, either positively or negatively? Not necessarily just your time at Facebook but throughout your whole career? I wouldn’t say negatively, but I’m always aware that I’m a black woman, no matter where I go. Even thinking back to college I was the only black woman with a graphic design major. By my first job I was also the only black woman on the design team and I remember feeling like, “Oh gosh! This is how it’s going to be; there aren’t many black designers.” When I just moved on through, I’ve always been pretty aware of my skin color, which I haven’t always liked. I’ve always been like, “Gosh! I want to know how white people feel when they’re in a job and get to relate to other people” Whereas I’m trying to create these relationships with people who may have not necessarily been around someone like me. I wouldn’t say it’s the easiest thing. I think that as black people, in general, we understand that we have to understand other cultures to move up and do things, and that we can’t just be black. We have to be black and understand the white culture. But I wouldn’t say my skin color has necessarily negative impacted my career growth. I would hate to think I was overlooked because of those reasons. I think I’ve always had great relationships with the people that I work with and my managers. I just try to stay on the positive side of it and hope and pray for the best, and just work hard. Any tips that you would give to your younger self or somebody on your path probably five-ten years behind that maybe give some help? I jumped around a lot. Sometimes when I even look at the co-workers at Facebook who have been here since they graduated from college. I thought what it would have been like if I would have stayed at my first job forever. There’s something nice about really understanding the problems you’re working on. I’ve always thought about that, just sticking with the company, and sticking through it in those times where you are not necessarily in projects that you like but perhaps there could be something great on the other side of that. Maybe I would have recommended that to my younger self. I would advise any younger person to speak up and ask lots of question. I realized that the most successful people that I’ve seen at every single place that I’ve worked, they asked the most questions. Sometimes you have a question pop up in your head, and you are nervous, and you are like that’s silly, but you should ask that question. 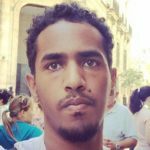 Where can people follow you and catch up with your work, or what you are up to online? I’m on Twitter @karlamickens. I just got married so it’s going to be changing to @karlamickenscole. Karla. Thank you. You can follow me on Instagram as well; I am karlamickenscole on Instagram. That’s pretty much where I talk and jabber, throw my thoughts and stuff like that.